“Are there any post-war prefabs in France?” I am often asked this question. 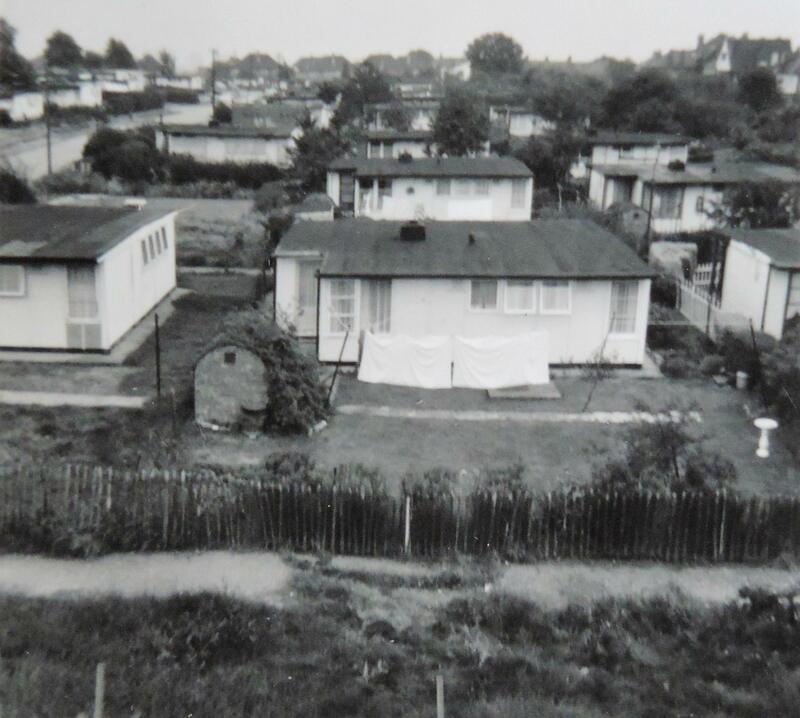 So here I am, trying in a few paragraphs to sum up what I know about post-war prefabs on the other side of the Channel. My first memories of them go back to the 80s when I used to see some on my way to school in Caen, Normandy. As a teenager, I must admit I didn’t pay much attention to them. 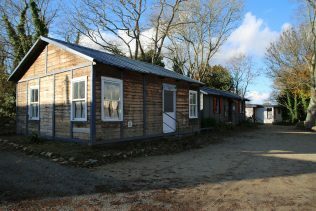 I just saw them as odd little houses, totally different to other dwellings nearby. 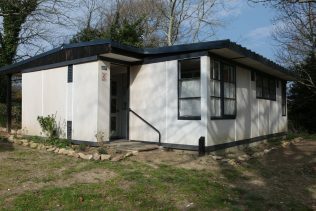 Now that I know a bit more about prefabs, I am pretty sure they were the UK 100 type. 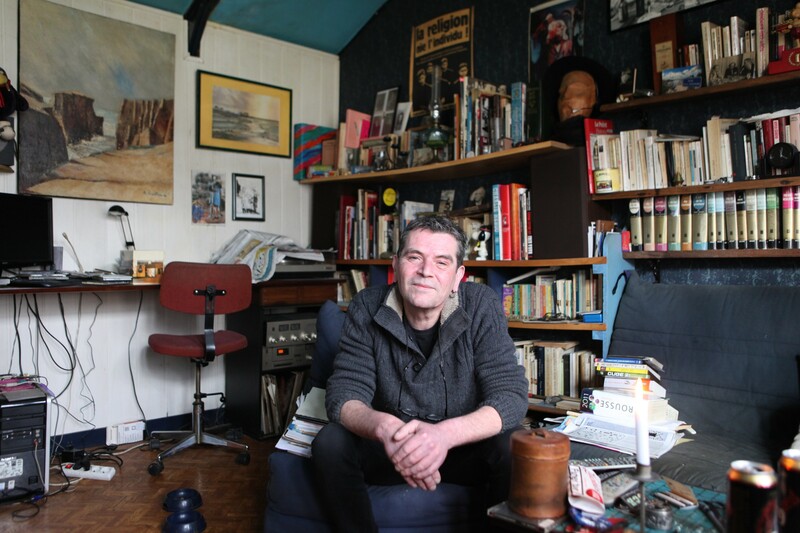 In the 90s, they had gone but thanks to French prefab scout Mickael who also manages a prefab museum (Mémoire de Soye) in Lorient, Brittany, there are two UK 100 prefabs left in Caen, apparently very much loved and looked after. In an area of the town called Saint-Paul, there is also a small estate of Swedish prefabs left. 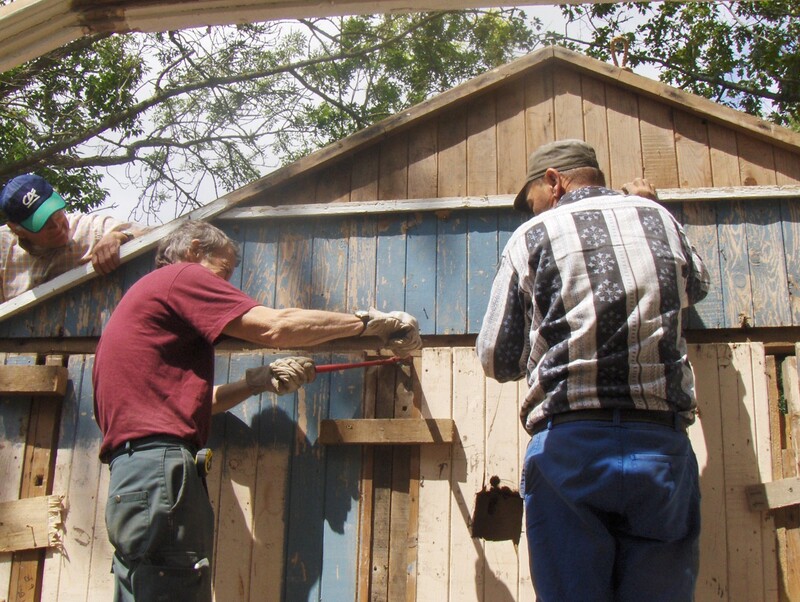 Their residents created a group to look after them and a community was even born. 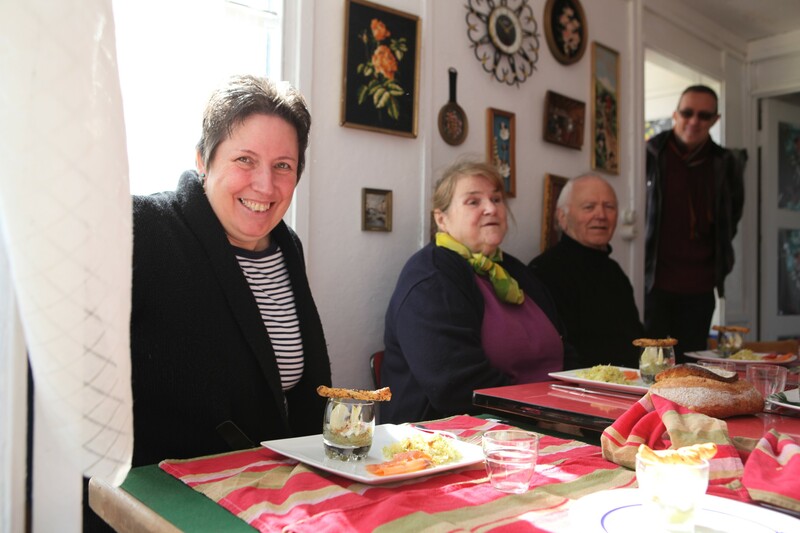 They have now become part of Caen’s landmarks as the Saint-Paul area is also known as “Les Suédoises” (The Swedish Ones)! 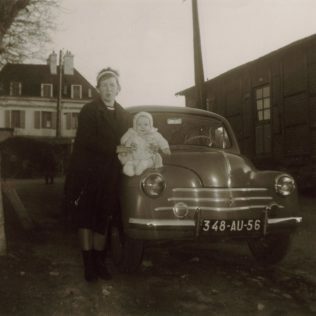 And now, all of you will wonder: How come would there have been UK 100 prefabs in France as they were prefabricated in the USA in order to be exported to the UK, each model in 100 parts. The Lend-Lease arrangement with the US government was announced in February 1945 and the first American prefabs arrived in late May/early June in Britain. 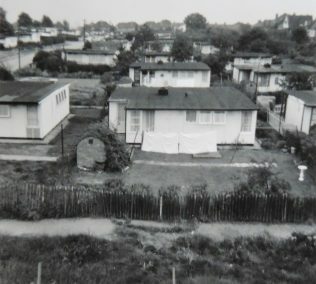 Although the UK government initially agreed to the offer of 30,000 American prefabs this was reduced to 8,000 after the Lend-Lease agreement came to an end in August 1945. The UK government was unable to meet the additional costs, which raised the price of each UK100 from £800 to £1330, from the exchequer. 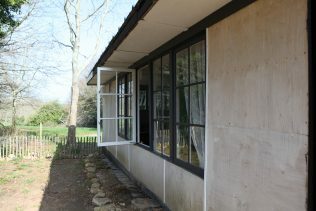 By this time, UK manufacturers had already geared up for production of their own prefab types. 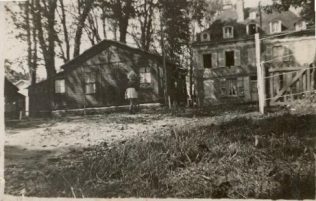 As France was short of prefabs and desperately needed some quickly, Reconstruction and urbanism Minister Jean Monnet decided to buy 8,000 of them which were erected in the Hauts de France, Normandy and Brittany. 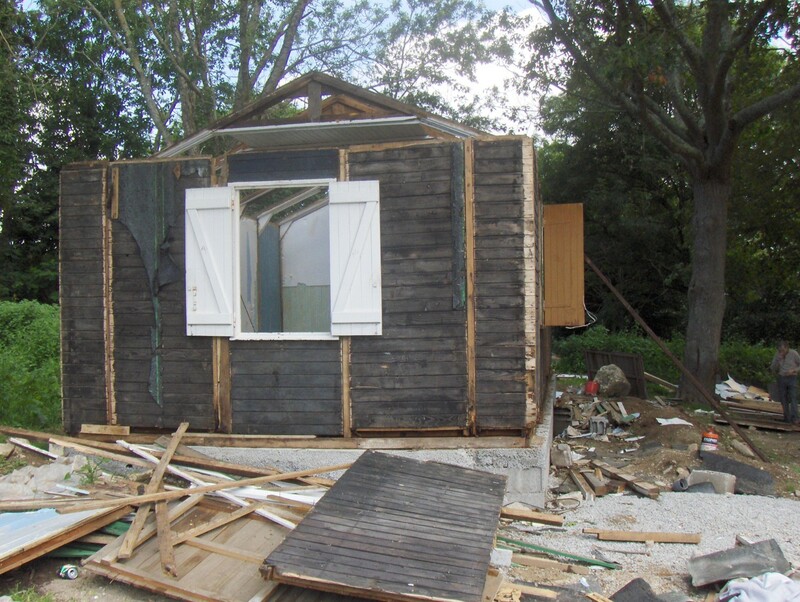 The UK 100 prefabs were not the only emergency houses to be built in 1945/1946: About 154,000 (the UK had 156,000) “baraques” (that’s how they are usually named in France) were erected all over the north-west of France from Dunkerque to Saint-Nazaire, especially in cities like Le Havre, Caen, Saint-Lô, Saint-Malo, Brest, Lorient and Saint-Nazaire which had been heavily bombed if not flattened! The types and designs were all different and the models were named after the country they were exported from: The USA (UK 100), Sweden, Finland, Switzerland, Austria, Canada (there might be other provenances but I need to investigate more…) and there also was a French type. The American one was by far the most modern of all. If you want to check without having to knock on doors, Jane and I suggest you take a little trip to Brittany to Lorient and visit Mémoire de Soye, Mickael and his fellow prefab enthusiasts prefab museum: In the last five years, they have dismantled and re-assembled abandoned prefabs on a piece of land called Soye which used to host, till the 90s, hundreds of post-war prefabs. Mémoire de Soye has managed to rebuild three different “baraques”: a UK 100, a French one and a Canadian one. 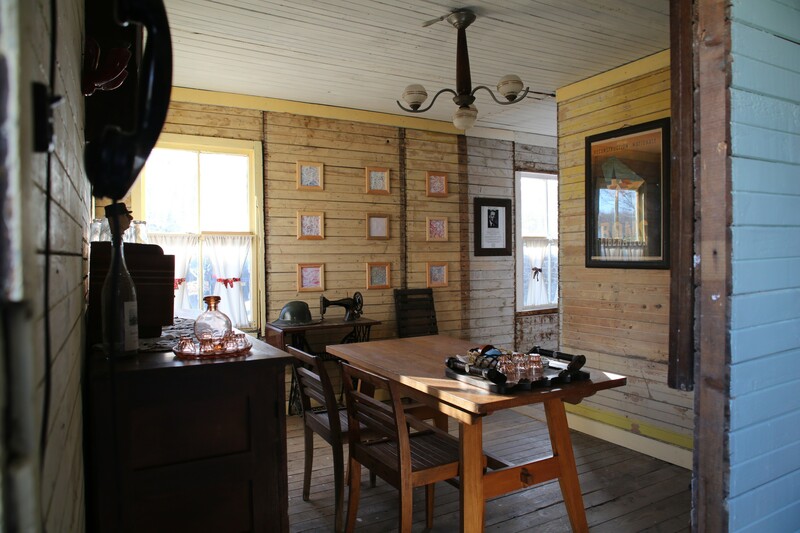 They are refurbished with furniture from the war and immediate post-war era. 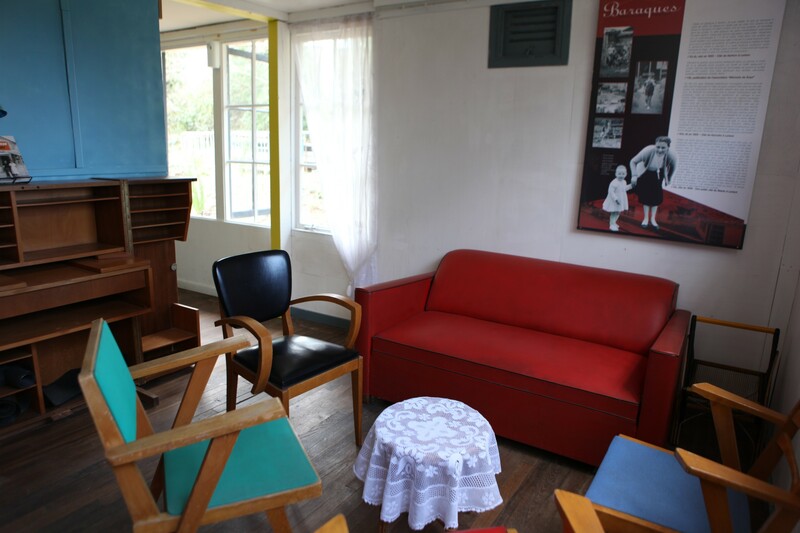 Mémoire de Soye is the only museum in France where you can visit post-war prefabs!